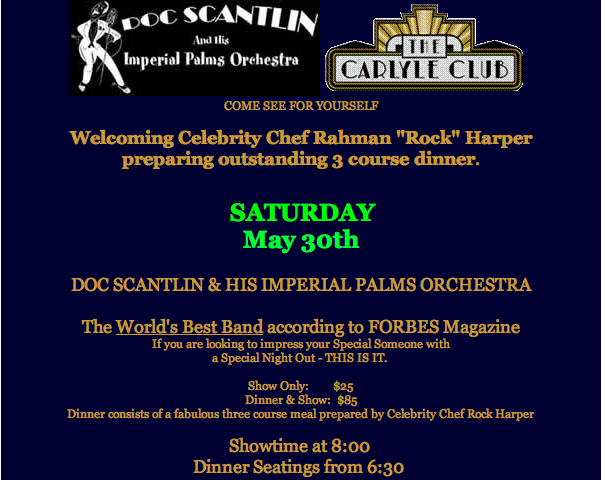 This entry was posted in Entertaining and tagged Doc Scantlin and the Imperial Palms Orchestra, The Carlyle Club. Bookmark the permalink. Wow! I can’t believe I have not heard of either the band or the club before! Thanks for the tip, I’ll make sure and go there my next time to Northern VA.